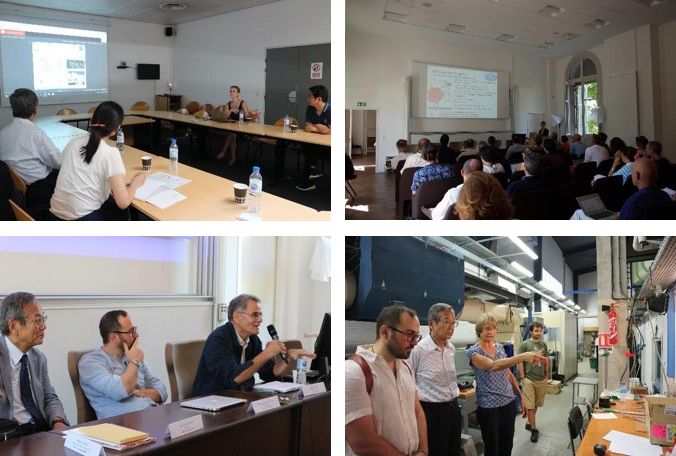 On 3 July, the JSPS Strasbourg Office held a JSPS program briefing at Aix-Marseille University (AMU) in Marseille, the capital city of Southern France situated on the Mediterranean coast. 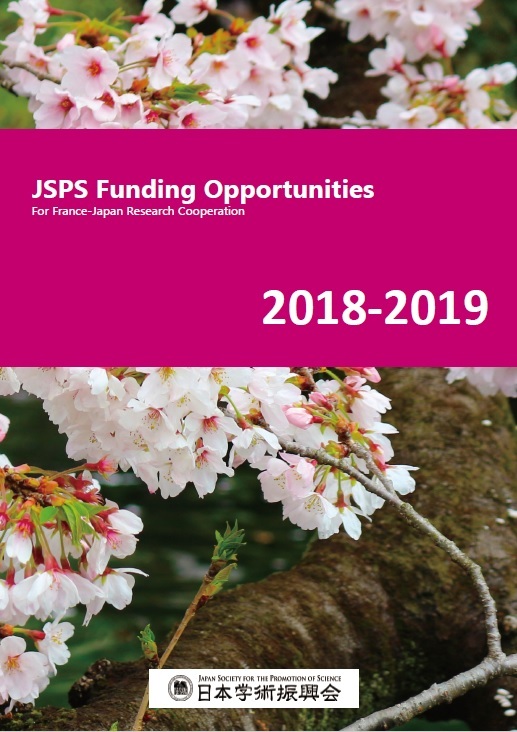 In the briefing, members of the Strasbourg Office introduced JSPS and its international exchange programs, with special focus on JSPS’s Postdoctoral Fellowships for Research in Japan, to an audience of students, postdocs and young researchers. After which, Dr. Giuseppe Di Molfetta and Dr. Philippe Mossé, both members of the JSPS French Alumni Association, shared their personal experiences in talking about their stays in Japan under JSPS’s invitation fellowships and how after coming back to France they have applied their Japan experiences to their research activities. The Q&A session that followed these interesting presentations added to the fruitfulness of the briefing in that the nature of the questions conveyed a concrete interest in research in Japan and JSPS programs. It was asked, for example, how host researchers are secured when going to Japan to do research under JSPS’s invitational fellowships, and what differences there are in the fellowship selection ratio among various fields of research. After the briefing, our hosts were kind enough to give the Strasbourg Office staff an observation tour around the facilities of AMU’s Institute for Advanced Study (IMéRA). Also visiting its Maison méditerranéenne des sciences de l’homme (MMSH) and Mediterranean Institute of Oceanography (MIO), the staff got a good look at the high level of research being carried out at the university. The day after our visit, the Strasbourg Office received a letter by email from the university thanking us warmly for our briefing and informing us that our pamphlets on JSPS’s international exchange programs were being distributed throughout the campus. Université Paris-Saclay is a recently established university that consists of 14 member institutions including ENS Paris-Saclay. 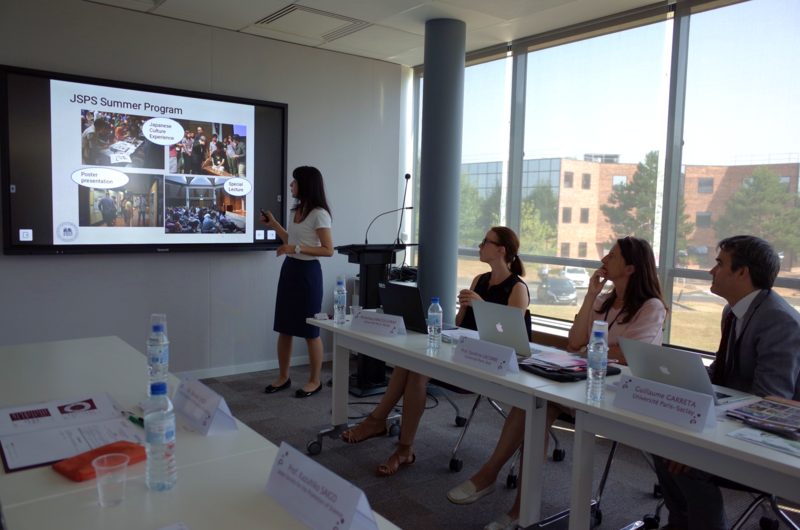 On 24-25 July, the JSPS Strasbourg Office staff visited the university and met with Professor Keitaro NAKATANI, Vice-President for Research, Ms. Catherine STEPHAN-EVAIN, Head of the International Relations Office at ENS Paris-Saclay, Mr. Guillaume GARRETA, Director of International Relations at Université Paris-Saclay, and Professor Sandrine LACOMBE, Vice-president of International Affairs at Université Paris-Sud. Through our discussions during the visit, the JSPS delegation learned a lot about this new university and its excellent facilities and programs. 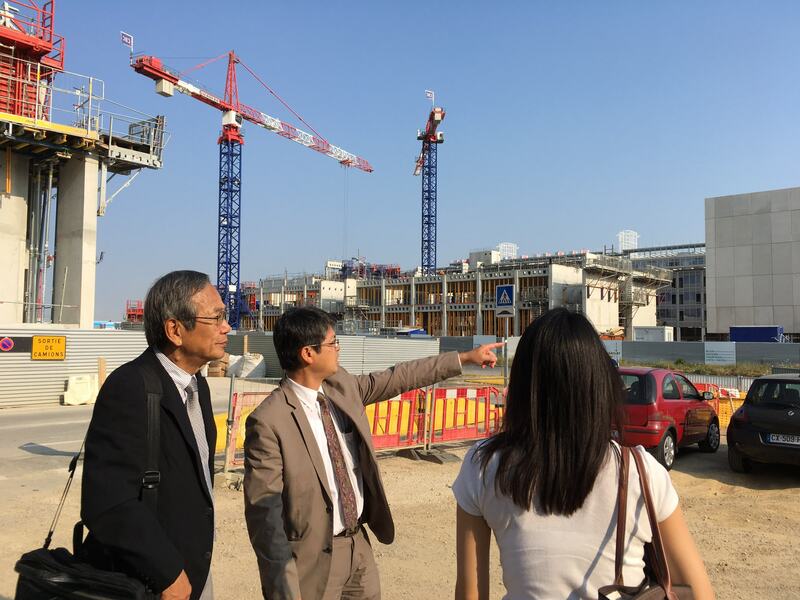 The delegation also had an opportunity to tour the laboratories of ENS Paris-Saclay and the brand new campus of Université Paris-Saclay, which is located in a gigantic Paris Saclay ecosystem area. Chinese herbal remedies have a long tradition stemming from ancient times. In this seminar, the history of Chinese medicine was presented from its beginnings to its modern applications and use in cutting-edge medical care. The audience was drawn into the discussion via explanations from scientific viewpoints made easy to comprehend by illustrative slides. Irregularly held science seminars are cosponsored by the JSPS Strasbourg Office, La Maison Universitaire France-Japon, and the University of Strasbourg. Aimed at members of the general public, JSPS Strasbourg Office and La Maison Universitaire France-Japon have held more than 200 seminars with invited Japanese and French lecturers since 2003. If you would like to obtain more detailed information about these seminars or receive email announcements on future seminars, please contact JSPS Strasbourg Office. Office staff gave briefing at Université de Lille. Office staff attended JANET (Japan Academic Network in Europe) Forum at INSA Lyon. 【Maison Ferber】 Madame Christine Ferber’s comfitures are world-widely appreciated. Her products are not only served for breakfast at luxury hotels in Paris but a small pot of them is also sold in Tokyo department stores for a price of more than 2,700 JPY (=20 EUR). Contrary to such a stellar reputation, her original store is a tiny groceries shop located in Niedermorschwihr, a small village with a 400-person population in Alsace. As it is only groceries store in the village, it’s used by the local residents to supply their everyday needs. 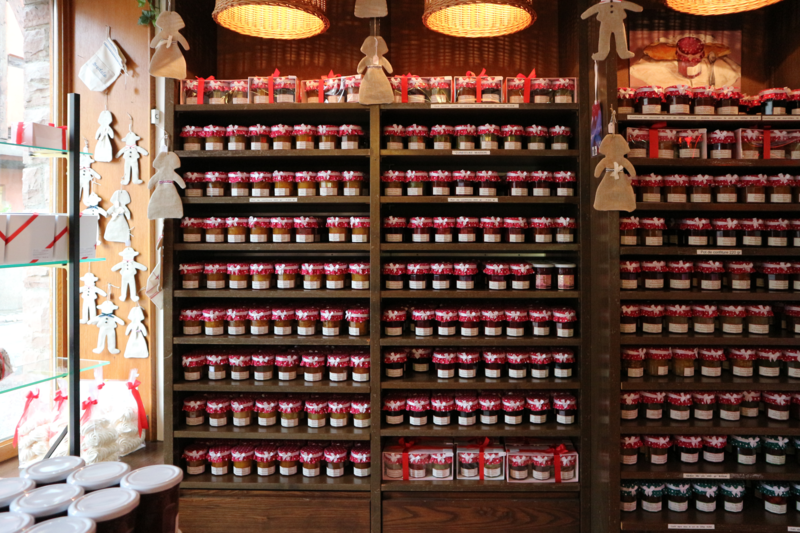 Upon entering the shop, you will be welcomed by a wall of pots, each temping you to try its ingredients: Ruby grapefruits and rose petal, Alsatian rhubarb and vanilla, Banana and passion fruits, etc. etcetera.